Leroy W. Allen was born and raised in Kansas City, Kansas. His life was shaped by his Mississippi native parents, Leroy and Ruby, as well as his upbringing in a culturally rich, twelve block community. This area influenced creative giants such as painter, Henry O. Tanner, saxophonist, Charlie (Bird) Parker and sculptor, Ed Dwight, just to name a few. Inspired by the richness of his environment, Leroy received his first National Scholastic Art Award in the second grade for his crayon drawing “The American Royal”. He described his formative years, “My neighborhood was one of roughhouse boys who played several sports, hiked and went on adventures almost daily during the summer. As busy as our schedule was, we always managed to reserve one day a week to draw. That, like all other activities, was an outdoors event, so if it rained, we’d sculpt with mud.” By the time Leroy was a senior in high school, he was drawing a weekly newspaper cartoon, which he developed into a comic book later that year. After graduation and a military tour in Southeast Asia, Leroy was accepted into the University of Kansas, Lawrence, School of Design, where he graduated with honors. He accepted an artist position at Hallmark Cards a few months later. Leroy was the proud father of beautiful first generation advanced degree graduates, Jaime and LeTia. While at Hallmark he met several young talented artists who were also recent hires. They formed a group that varied from 6 to 10 artist who through their interaction grew significantly in a relatively brief period. Leroy’s exposure to these incredibly talented artists led him back to school. He studied Fine Art at the Kansas City Art Institute for several years following. Mr. Allen said that Professors, Mathew Monk and Warren Rosser, were very influential in his early years at the Art Institute. He created personal breakthrough works while studying under them. 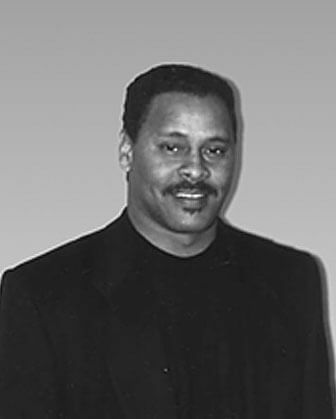 Mr. Allen began to exhibit his art competitively in 1991, winning a number of awards in 1991 and 1992. In 1993 he had a painting, (“Ma’am,”) accepted into the Allied Artist Exhibition in New York City. After deciding to attend the opening, Leroy said it was there in the atmosphere of the National Art Club, that he realized many of his artistic dreams would come true in time. In years to follow, Mr. Allen won major awards in the categories of drawing, pastel painting, oils, and watercolors. In 1995, he was invited to attend an artist reception at the Governor’s Mansion in Jefferson City, Missouri, that featured his award winning painting, (“Happy Cause I’m Going Home”) and other specially selected works from The National Oil and Acrylic Painters’ Society Exhibition. In 1999, Leroy, along with members of that early group of artists organized and held an exhibition, sponsored by Willets Design with assistance from Hallmark Cards, titled “The Kansas City Six Reunion Exhibition.” In that same year, Mr. Allen was commissioned to paint the Official Portrait of the mayor of St. Louis Missouri. The portrait gained added significance because it was of the city’s first African American Mayor. The unveiling ceremony held in the Rotunda of City Hall, was hosted by civic leaders and dignitaries, including the President of the Missouri Historical Society, Robert Achibald. Because of its historical significance, the unveiling ceremony became the subject of a half hour television production, that aired on Public Access. Segments were also aired on NBC, CBS and FOX affiliate news stations. This portrait is on permanent display in City Hall alongside portraits of St. Louis mayors dating to 1833. Leroy is a signature member of the National Watercolor Society, the California Watercolor Association, and the Kansas Watercolor Society . He has also been featured in major publications that include The Kansas City Star Newspaper (1991-2001), Lexington Who’s Who (2000), Upscale Magazine(1999), Art Business News (2001), U.S. Art (March 2002) and U.S. Art (May 2002). His work is included in the Watson Guptill book publication “Creative Computer Tools for Artists” published December 2001. Mr. Allen is included in the major exhibition and book: “Black Romantic”(The Figurative Impulse of African American Art), Studio Museum In Harlem, curated by Thelma Golden(April 2002). His work has been commissioned by corporations and individuals such as: Anhueser Busch, Southwestern Bell, Hursh & Eppenberger, Stifel Nicolaus Hamilton and Co., Scott Intagliata and Ida McBeth. Also, Leroy’s work is included in the collections of Bank One, Sprint, Dr. Sethard and Sandra Beverly, Dr. Robert and Hawice Dulin, Mr. Floyd and Peggy Love, and other corporate and private collections across the U.S.
Leroy said that various forms of recognition and awards are important to him because they acknowledge a level of achievement in the gift he seeks to share with humanity–unlike many things, awards can’t be taken away. Leroy kept the award (that his mother saved) he won in second grade. I love to paint and draw. It allows me to share with any number of people my God given gift. My favorite subject is the complexity of our human existence, our movement, our expressiveness, our determination, our attitudes and our beauty. I don’t necessarily look for all of those elements when I paint, but I am aware of their presence. When a work of mine is publicly successful, I believe it is because I was able to put the viewer in touch with his or her awareness of my subject.